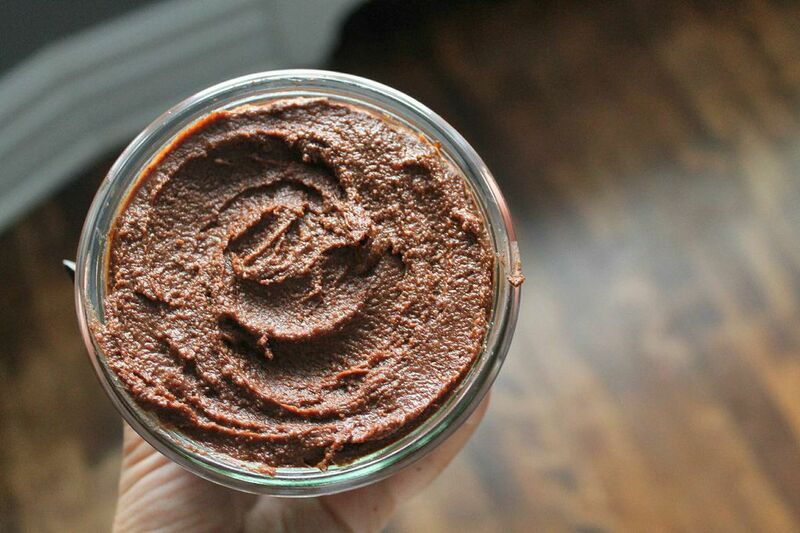 One of the most common consumer misconceptions is that the deliciously sweet chocolate hazelnut spread known as Nutella is healthy. My guy’s mom once told me how confused she was by their commercial, “how can chocolate spread on toast be a nutritional breakfast?” she asked. Well I had to deliver the bad news that in fact, Nutella is not a truly healthy option for breakfast. It does contain hazelnuts which have good-for-you flavonoids, healthy fats and vitamins to help support brain function, heart health and lower cholesterol. BUT, it also contains palm oil, and heaping amounts of sugar. A two tablespoon serving has 21 grams of sugar. That will not give your child sustainable energy throughout their day. They will most likely get an immediate sugar high followed by a very abrupt crash which will leave them in a dozed state during first period. Meghan Telpner gives an amazing break down on why you should probably ban the stuff for good here. Good thing I have come up with an alternative! Well it isn’t just me… Most healthy food bloggers have come up with their own version of the spread using unrefined sweeteners and dairy free options. I took a look at a few and decided I would start with roasted hazelnuts and slowly add ingredients as I went. It took a while until I found the right consistency and flavour. What I realized actually was that this spread can work in a variety of ways to meet your needs. Don’t want it dairy free? Use organic milk. Want it sweeter? Add more dates, maple syrup or stevia. Want it chocolatier? (is this a word?…it should be) then add more cacao or even melted 70% chocolate! The possibilities are endless, but I have provided you with the spread that works best with my taste buds! 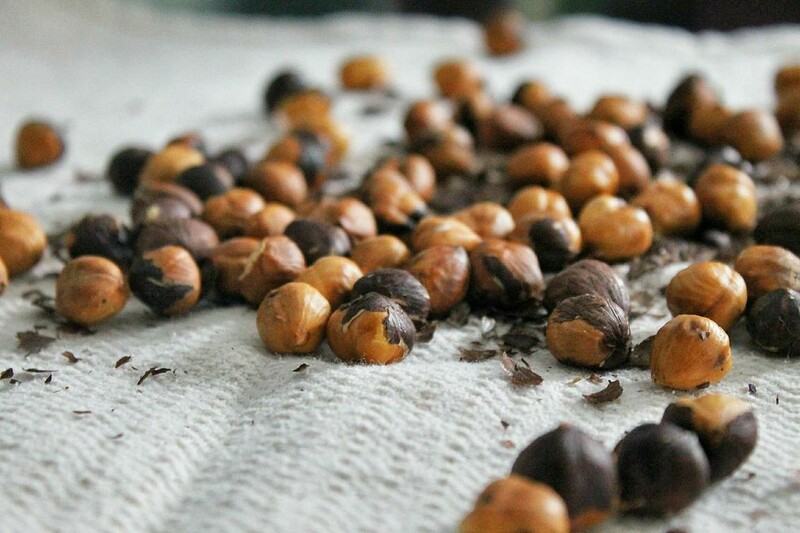 The most essential part of this recipe is roasting your hazelnuts. Without roasting, the hazelnuts wont be noticed as much in the spread, plus you need to get rid of those annoying skins. I have been spreading this on pears, my healthy bread and eating it straight out of the jar with a spoon! 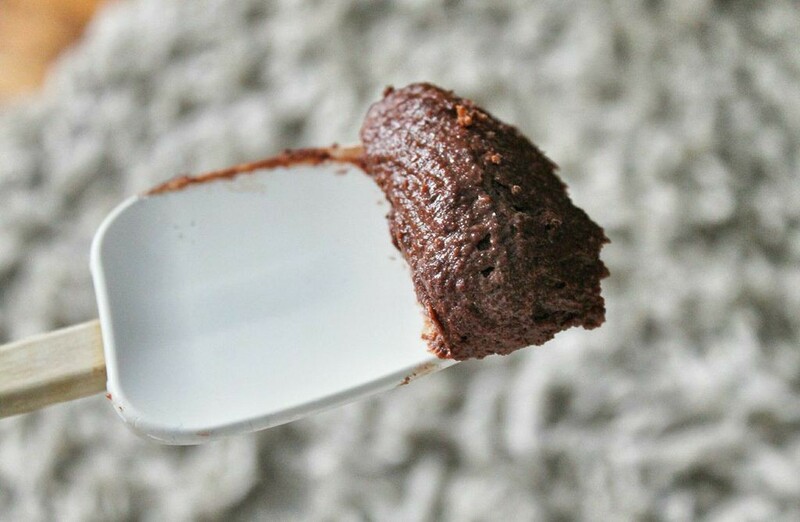 I am more excited though for next weeks post where I spread this tasty treat on a Passover friendly dessert. It is EPIC! Until then, get your spread ready! 1. 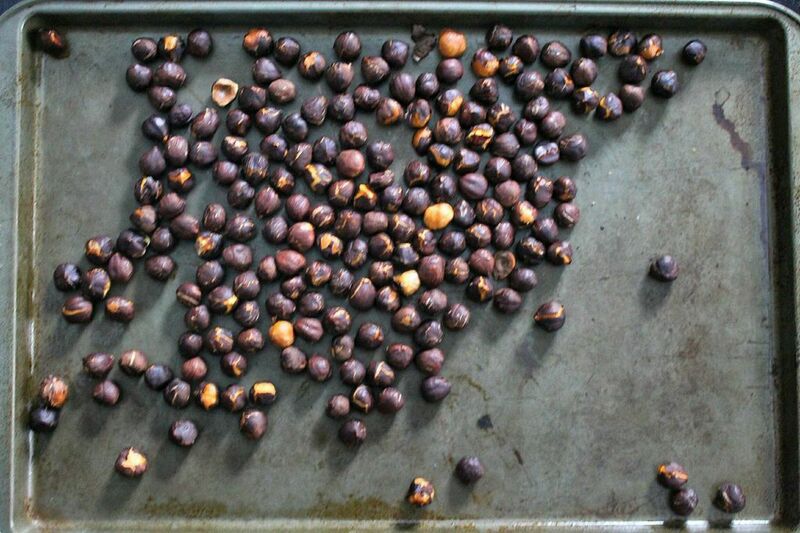 Preheat oven to 300 degrees F. Roast hazelnuts for 20-30 minutes or until oils are released and skins begin to loosen. 2. 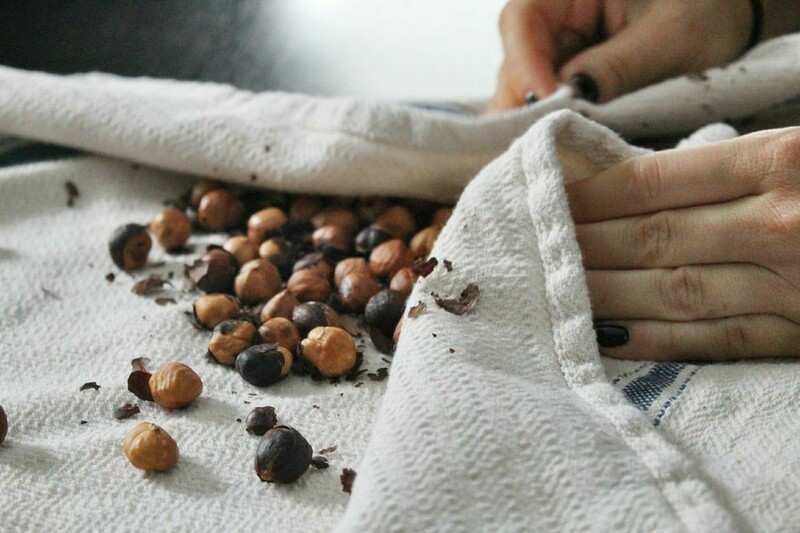 Place toasted hazelnuts on a large dish towel (preferably one that isn’t too soft) and fold the cloth over. Roll the hazelnuts back and forth within the cloth. (you’re kinda exfoliating the hazelnuts) The skins will fall off. If the cloth doesn’t remove the skin then you can do them individually by rubbing them between your thumb and index finger. 3. 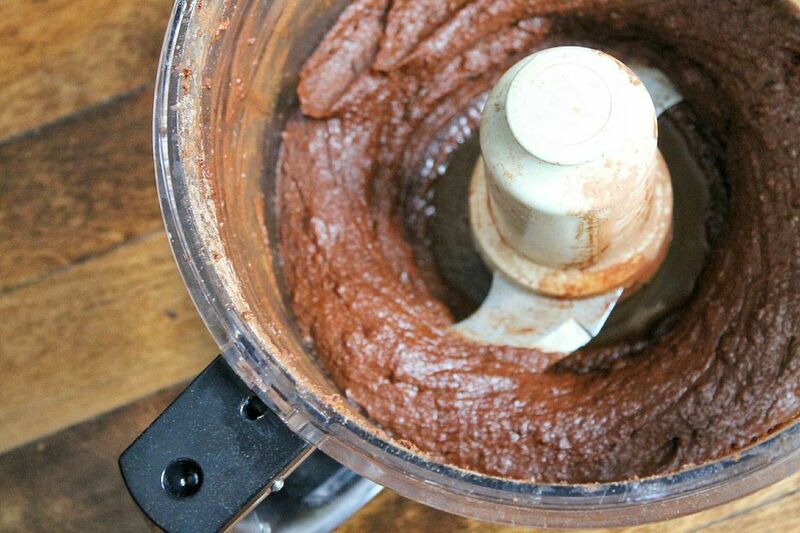 Place the hazelnuts in a food processor or vitamix and pulse until the hazelnuts turn into nut butter. Add remaining ingredients and pulse until smooth. Feel free to add more dates, maple syrup etc until you get the consistency and sweetness that you desire. 4. Place in an airtight jar, and store in your fridge! Yay! I’ve never been a huge fan of nutella even though I liked the hazelnut flavor… probably was too sweet for my liking. This will probably sit better with my taste buds! Shall try it out one day. I love this! I used a bit of 85% chocolate I had melted and whirred away in my blender. Delish!